The webcasts will start on Friday evening Nov. 9 at 6:45pm (All Eastern times) with Diane Nash: “A History of the Non-Violent Movement of the 1960’s: A Legacy for Today”. At 10:15 am on Saturday Morning Matthew Fox will speak on “The Future of Religion, the Future of Christianity: Notes for and from the Occupy Generation”. Program includes Leadership Award to Sr. Patricia Farrell, OSF. Saturday evening at 6:30 pm Imam Mohamed Abdul-Azeez will speak on “The Arab Spring and the Muslim-American Narrative”. And on Sunday morning Bishop Patricia Fresen, RCWP, will speak on “Less Pope, More Jesus” at 8:30am. 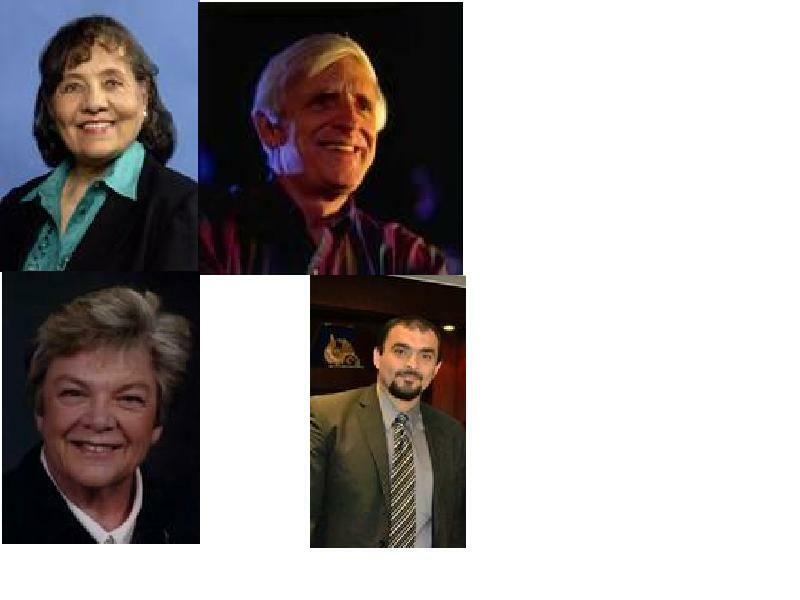 Clockwise from top left: Diane Nash, Matthew Fox, Mohamed Abdul-Azeez and Bishop Patricia Fresen.